C and M are a married couple who love one another very much, they live together in their little detached suburban home where C composes his music. The pair are incredibly close and when C is killed in a fatal car accident M is left with only the memories of their time together. M goes to the morgue to identify her husband and confirms that the body is him and returns to their little home. M is alone but not quite as alone as she thinks. C didn't cross over to the spirit world, he remained on Earth and is now living in their house. M is full of grief for the loss of her husband and often listens to his musical compositions, particularly the song he wrote for her. Whilst M is living in the real world, time and space are a completely different case for C as months and years feel like minutes and seconds. When M attempts to move on with her life and finally brings a man back to her home, C becomes angry and his manifestation and causes the power to go out as well as throwing books around the home. 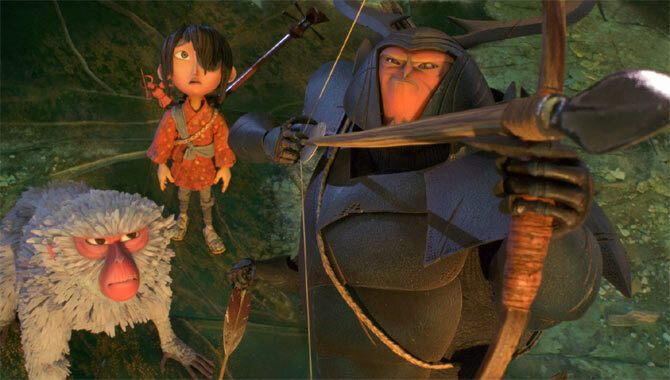 From Laika (The Boxtrolls), this is one of the most beautiful, sophisticated animated films in many years. Not only does every moment of the movie look exquisite, but the story is smart, original and hugely entertaining. The themes it explores with a very light touch are rich and deep, provocative and engaging. And since there's so much to the movie, the comedy is that much sharper, the action that much more thrilling and the ultimate message that much more powerful. 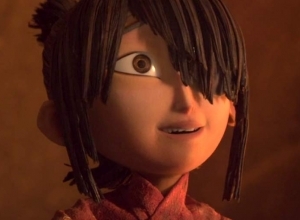 Set in mythical Japan, the story centres on a cheeky young boy named Kubo (voiced by Art Parkinson) who lost an eye when he was attacked as an infant by his grandfather (Ralph Fiennes) and two aunts (Rooney Mara times two). His father died in the struggle, but his mother got him out and raised him in a cave, making sure he never stayed outdoors after dark when his grandfather, the Moon King, could see him. 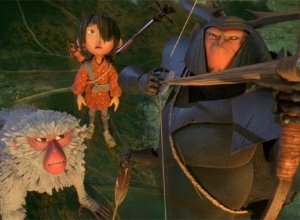 A boy with boundless imagination, Kubo uses music and origami to entertain the villagers with the elaborately epic tale of his father's lifelong quest for three important pieces of armour. But one evening he stays out too late, and has to flee from his attacking aunts. Now his only companion is a sardonic monkey (Charlize Theron) and a forgetful warrior (Matthew McConaughey) who has been transformed into a big beetle. Together they decide to search for the armour so they can take on the Moon King once and for all. This journey is the main body of the movie, encompassing comedy, adventure and some very scary moments. All of the story's twists and turns echo with the complexity of family and relationships, as Kubo tries to understand the things his parents could never tell him about himself. He also, of course, wants to better understand his own magical abilities, which are animated in breathtaking ways throughout the story. Perhaps accomplishing his father's quest will bring answers. And of course the real challenge for Kubo is to realise that everything he needs is right around him. Is Joaquin Phoenix Set To Play Jesus In Mary Magdalene Film? He’s previously portrayed Johnny Cash and recently starred in 'Inherent Vice', but is Phoenix’s next role as the Son of God. Joaquin Phoenix is said to be in consideration for the role of Jesus, in Garth Davis’ upcoming Mary Magdalene film opposite Rooney Mara, according to Deadline. The three time Oscar nominee is said to be in early talks for the role, with production on the film due to begin this summer. Joaquin Phoenix is said to be in talks to play Jesus. 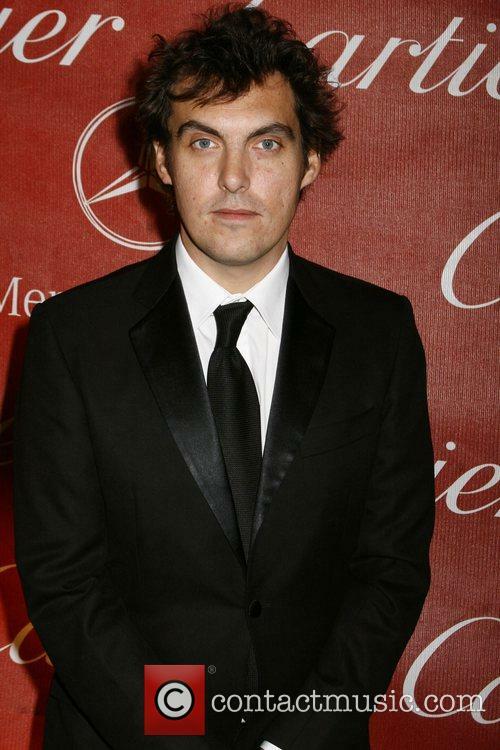 Phoenix is known for his versatility, having previously portrayed country legend Johnny Cash, for which he was nominated for the Best Actor Oscar. He also reviewed nominations for his roles in 2000’s Gladiator and The Master in 2012. 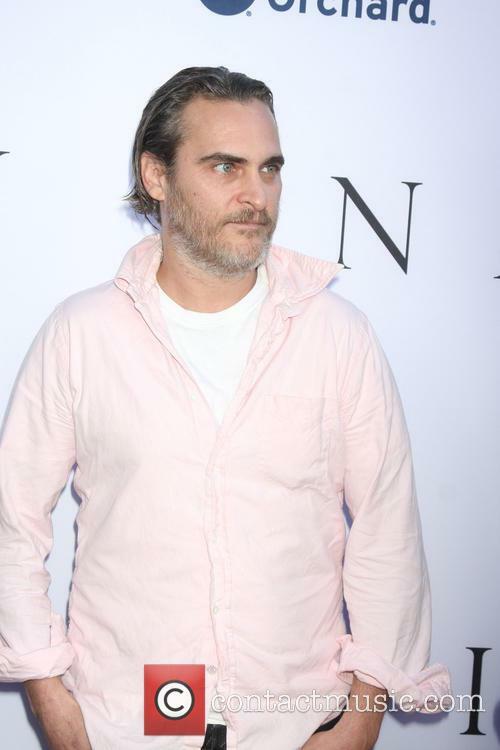 Continue reading: Is Joaquin Phoenix Set To Play Jesus In Mary Magdalene Film? Her casting in the Disney live action dud was highlighted as an example of 'whitewashing' in Hollywood. 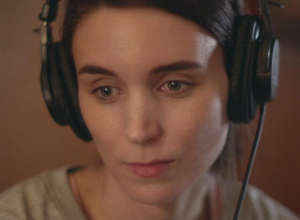 Oscar nominee Rooney Mara has admitted that she feels “bad and embarrassed” about being caught up in the ‘whitewashing’ debate in Hollywood after her role in Disney’s Pan last year, but has kept quiet until now because she doesn’t want her opinions to be “reduced to a soundbite”. Mara, 30, played the role of Tiger Lily in the ill-fated live-action origin story last year, and it was a casting that drew a lot of criticism as it constituted a white woman portrayed a native American princess. 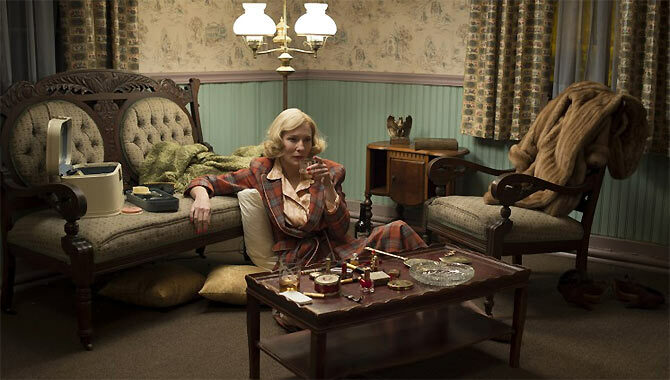 However, she’s up for Best Supporting Actress for her part in Carol at The Oscars on Sunday, and was asked about her feelings on the diversity debate in Hollywood. 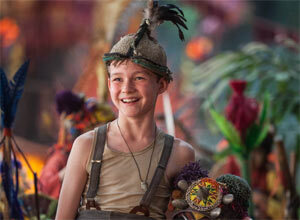 Joe Wright's 'Pan' reveals what happened before Peter Pan met the Lost Boys. An extraordinary re-telling of a time-honoured fairy story, Peter Pan is set to hit the big screen once again in 'Pan'; a tale of how this young boy who never grows up discovered his remarkable powers in the first place. Ever wondered how Peter Pan became known as Peter Pan in the first place? 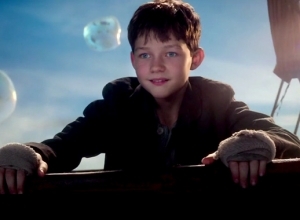 'Pan' reveals his lonely beginnings in an orphanage and how he is desperately searching for his mother having only a letter and a strange metal pendant to remember her by. Soon he finds himself kidnapped by brutal flying pirates led by Blackbeard and taken to Neverland - a world of fairies and mermaids, and the place where he befriends a young James Hook who wasn't always so evil himself. The 'America's Got Talent' host chose a controversial way of promoting his new album. Singer Nick Cannon has been slammed by social media users after he unveiled his controversial new persona, Connor Smallnut, designed to promote his new album, White People Party Music. The America's Got Talent host and husband to Mariah Carey "whited up" and adopted a skater styling to play the character, communicated via the pop star's Instagram page. Nick Cannon Has Been Hit By Outraged Reactions After "Whiting Up" For A New Persona. Cannon has been labelled "racist," "ignorant" and "hypocritical" for the stunt after pictures of him dressed as Connor hit the web on Sunday. "It's official. I'm White!!! #WHITEPEOPLEPARTYMUSIC #Wppm in stores April 1st!!!!! !Dude Go Get It!! !Join The Party!!!!" he wrote, adding "#GoodCredit #DogKissing #BeerPong #FarmersMarkets #FistPumping #CreamCheeseEating #RacialDraft "Bro I got drafted!!" alongside one image. 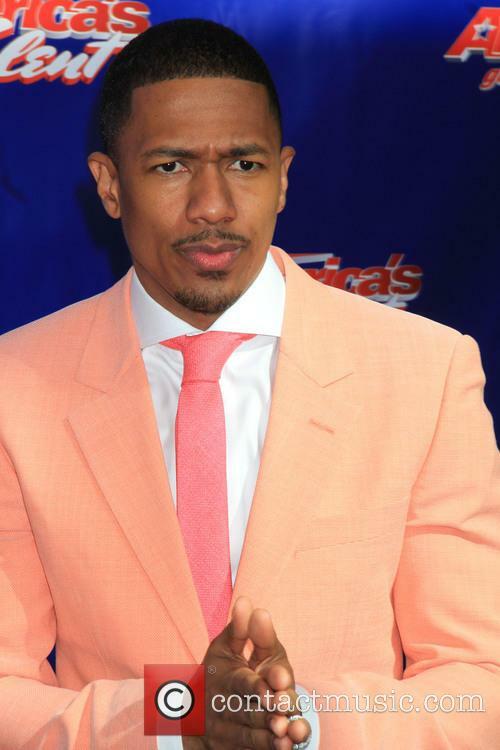 Continue reading: Nick Cannon Slammed For White-Faced "Connor Smallnut" Persona: How Offensive Is It? What do we know so far about the upcoming 'Pan' film? Peter Pan is coming to the big screen again in July 2015, this time in Joe Wright’s ‘Pan’, which chronicles the character’s early years. While there’s not much known about the film the initial casting looks promising enough to get us excited to take another trip to Neverland. Of course we all know the story of Peter Pan, the boy who never grew up. JM Barrie’s classic children’s tale has been delighting audiences since 1904 when he was the subject of the stage play, 'Peter Pan, or The Boy Who Wouldn't Grow Up'. The play was later expanded into the 1911 novel 'Peter and Wendy'. Pan has since enjoyed many movie outings, most famously Disney’s 1953 animated version. 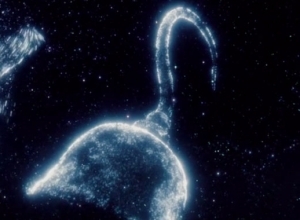 Then there was the 1991 Steven Spielberg movie ‘Hook’ intended as a sequel to Pan’s story. Here, a grown up Peter, played by Robin Williams, returns to Neverland to once again face his old adversary Captain Hook. In 2003, there was a live action Peter Pan featuring Jason Issacs based on Barrie’s original work. The copyright status of Barrie's work has meant that the character has been used and changed in various adaptations. The writer oringally passed on his copyright claim to London’s Great Ormond Street hospital, but the copyright’s differing international statuses have led to the character being frequently reimagined. 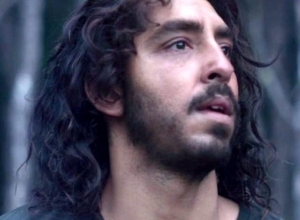 Most recently ABC created a whole new evil pan on their show ‘Once Upon A Time’. Mara will star alongside Hugh Jackman in Hugh Wright's 'Pan' Film. Rooney Mara has landed a role in JOE WRIGHT's upcoming Peter Pan origins movie, Pan - she will playTiger Lily. Mara, who is best known for playing Lisbeth Salander in The Girl With The Dragon Tattoo, will play the Native American princess who lives in Neverland along with Peter and the Lost Boys. 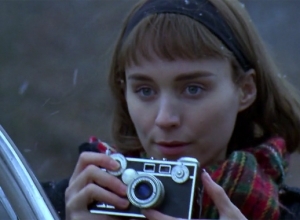 Rooney Mara Is To Play Tiger Lily In Joe Wright's Upcoming Peter Pan Origins Movie. Joe Wright will direct Warner Brothers' upcoming fantasy drama and will also welcome the talents of Les Misérables' Hugh Jackman and Tron: Legacy's Garrett Hedlund. Both actors will play pirates in the prequel to J. M. Barrie's children's tale, with Hedlund taking on the classic role of Hook and Jackman playing the villainous Blackbeard. Stieg Larsson's Millenium series has continued to find success almost ten years after his sudden death aged 50. The creator of the book series that includes The Girl With the Dragon Tattoo and follows the characters Lisbeth Salander and Mikael Blomqvist was already working on his fourth instalment for the series before his untimely death and now, nine years later, a fourth book is finally being written. David Lagercrantz, best known for co-writing the autobiography of Swedish footballing deity Zlatan Ibrahimovic, has been placed in charge of finalising Larsson's fourth edition to the Millenium series, with the unnamed book set for publication in August 2015. Lagercrantz has since said that he has "already started writing it", adding, "It's terribly fun. It's a fantastic world to step into." Although set in the 1970s, this dramatic thriller has a distinctly Western vibe to it, digging into the darker emotional corners of characters who are trying to make it through life on their own terms. It's moody and evocative, focussing on internal feelings rather that big action beats, so it feels dreamlike and a bit sleepy. And also strangely mesmerising. When we meet Bob and Ruth (Affleck and Mara), they're hopelessly in love. She knows he's not good for her, but she's pregnant so makes the most of it. Short of cash in rural Texas, they plot a messy bank robbery, during which he injures police officer Patrick (Foster) and is sent to prison. Four years later, she's now living on her own with her young daughter, watched over by Bob's old mentor Skerritt (Carradine). But she's also struck up an awkward friendship with Patrick. So when Bob escapes from prison and comes back for her, he's in for a rather nasty shock. Writer-director Lowery uses striking visuals and minimalistic dialog, shooting scenes with an unexpected sensuality to explore each point where these people interact. Everything is understated (the title is never explained at all), which allows the actors to give delicate, transparent performances that catch us off guard with their honesty. Affleck, Mara and Foster are fascinatingly complicated as three parts of an untidy triangle that only hints at romance. Carradine adeptly provides both wit and gravity to his scenes, while Parker gives a beautiful performance as Bob's reluctant buddy. Steven Soderbergh’s Side Effects didn’t fair quite as well as hoped on its opening weekend on the US Box office charts, opening with $2.8 million takings on a weather-hit chart to languish behind critically derided Identity Thief, which took $11.2 million. However, with the US done and dusted, the attentions of Soderbergh move towards Europe, with the film currently playing at the Berlin Film Festival ahead of large scale European release – including the UK on March 8 – from February 22 onwards. So far it’s received cautious critical appraisal from European critics, with The Independent cryptically offering “if audiences stop trying to unravel the very tangled plot and don’t mind have the carpet pulled from under their feet again and again, they should find plenty here to relish.” That suggests another Soderbergh brain-twister, and indeed it seems to be the case, given that the film is about the Rooney Mara-playing Emily Taylor, who takes a prescribed experimental drug, causing all manner of mental twists and turns. Jude Law plays Jonathan, her psychiatrist whose life is gradually falling apart, whilst Catherine Zeta-Jones and Channing Tatum also star. The Telegraph were far more impressed than The Independent after coming away from Berlin.“When all’s said and done, it’ll go down as minor Soderbergh – clever sleight-of-hand, really – but it reminds you of so many Soderberghy virtues as to be an oddly compendious pleasure.” It’s said that this might be Soderbergh’s last film, it could well be that he’ll be going out on a high yet. Steven Soderbergh’s Side Effects stars Channing Tatum and Rooney Mara and is another fine example of Soderbergh’s masterful storytelling. 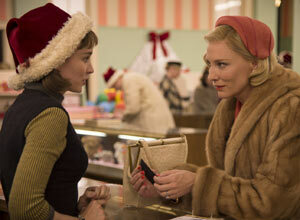 Fans of Soderbergh will do well to relish this one as it may be his last. The director has said that he’s tired of making films now and may well make Side Effects his last effort. The movies has garnered a slew of great reviews and could well out to be the most respected role that Channing Tatum has been attached to, for quite some time. Side Effects is a thriller, telling the tale of a suicidal wife, a husband just out of jail, an under-pressure psychiatrist and the troubles with personality-suppressing drugs. 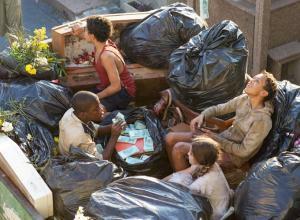 Performances from Catherine Zeta Jones and Jude Law supplement those of the central characters. As is typical with Soderbergh’s movies (Traffic, A Scanner Darkly), the plot is many-faceted and eventually, the dramatic potential of the movie explodes. Kenneth Turan, writing for Los Angeles Times explains “It would ruin the fun to detail exactly what kind of hell, but rest assured this top-notch cast has great fun working out all the fiendish ramifications of this potboiler plot. If this does prove to be Soderbergh's final film — and I wouldn't hold my breath — he picked a heck of a one to go out on. The movie has racked up a highly respectable score of 82% on Rotten Tomatoes – usually a decent indicator of how a film will fare. Side Effects is in US movie theaters this weekend. Steven Soderbergh Signs Off With 'Side Effects': But Does It Hit The Spot? Steven Soderberg's psychological thriller Side Effects - his final movie before retiring from movie directing - is winning high praise from critics. The movie - boasting an all-star cast including Jude Law, Channing Tatum, Rooney Mara and Catherine Zeta-Jones - follows a successful New York couple whose world unravels when a new drug prescribed by Emily's psychiatrist has unexpected side effects. Ok, so it might sound a little bit too much like Soderbergh's 2011 thriller Contagion, but give it chance. The general consensus amongst critics is that Side Effects is a little silly in places, though great fun, with dashes of genius. A.O Scott of the New York Times said, "While the plot may be predictable (and more than a little preposterous) in retrospect, Mr. Soderbergh handles it brilliantly, serving notice once again that he is a crackerjack genre technician." Roger Ebert paid homage to the director, writing in the Chicago Sun-Times, "Soderbergh came, he saw, he conquered, and now he's moving on." Peter Travers of Rolling Stone continued the high praise, writing, "Side Effects is a hell of a thriller, twisty, terrific and packed with surprises you don't see coming," while other critics praised Soderbergh's slick filmmaking and storytelling techniques. All-in-all, it's pretty good news for the director on his final outing. The film's screenwriter Scott Z. Burns spoke to the Huffington Post of Soderbergh's decision to leave Hollywood behind and concentrate on his painting. "It's a little bit heartbreaking, for all sorts of selfish reasons.If he doesn't come back, it'll be because the other things are so rewarding for him that he doesn't need to come back," he said. Continue reading: Steven Soderbergh Signs Off With 'Side Effects': But Does It Hit The Spot? Actress Rooney Mara has told reporters that the upcoming The Girl With The Dragon Tattoo sequel, The Girl Who Played with Fire, will not feature the death of Daniel Craig's character, the crusading journalist Mikael Blomkvist, as was previously rumoured. It was announced earlier this week that the adaption of Steig Larson's second volume of the Millenium series was under way, but the announcement was joined by an apparent plan to kill off Craig's character. Not many people were buying this supposed plan mainly because Blomkvist is a central part of the series, acting as the narrator in the books and film, and appears in all three of the novels. With Mara's new admittance, then it looks as though this really may have been a rouse all along. 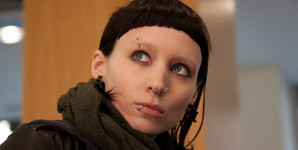 MTV News spoke to the actress, who plays the titular 'girl' Lisbeth Salander, at the premier of her new film Side Effects earlier this week, asking her whether the rumours were true, to which she gave the matter-of-fact response, "no." She then went on to say, "I've been talking a lot with ['Dragon Tattoo' director David Fincher] about the sequel, and I don't know where that rumor was started — but it would never be a possibility." Next year’s Sundance Film Festival will reflect an on-going trend in the movie world, for big name actors to seek out challenging and rewarding roles in independent films. 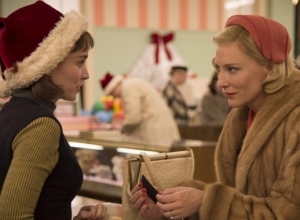 The competition line-up for Sundance 2013 has been announced and Rooney Mara, Casey Affleck, Daniel Radcliffe, Jessica Biel and Kristen Bell are all amongst the big names headlining next year’s festival, which is considered a highlight of the international film festival calendar. John Cooper, the director of Sundance, told The Hollywood Reporter “It’s a reflection of the landscape… We notice that there's a very, very vital community of actors taking roles in independent films - well-known actors in particular.” There are 27 films in competition at the 2013 festival, which will be screening 113 feature-length movies in total. These were whittled down from 12, 146 submissions – an increase of 429 from last year. 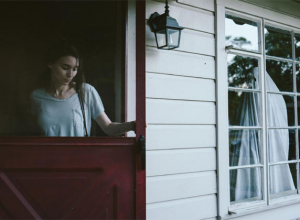 Taking a look at those big names in competition, then; Casey Affleck and Rooney Mara both appear in Ain’t Them Bodies Saints, a story about two outlaws, situated in the hills of Texas. Daniel Radcliffe, meanwhile, continues his attempt to break free of the clutches of Harry Potter, by playing Allen Ginsberg in Kill Your Darlings, which brings together the great beat poets of the 1940s. Elizabeth Olsen and Jennifer Jason Leigh also star in this movie, centered on David Kammerer’s murder by Lucien Carr. Kristen Bell stars in The Lifeguard and Jessica Biel leads the cast in Emanuel and the Truth about Fishes, a dramatic thriller directed and written by Francesca Gregorini. 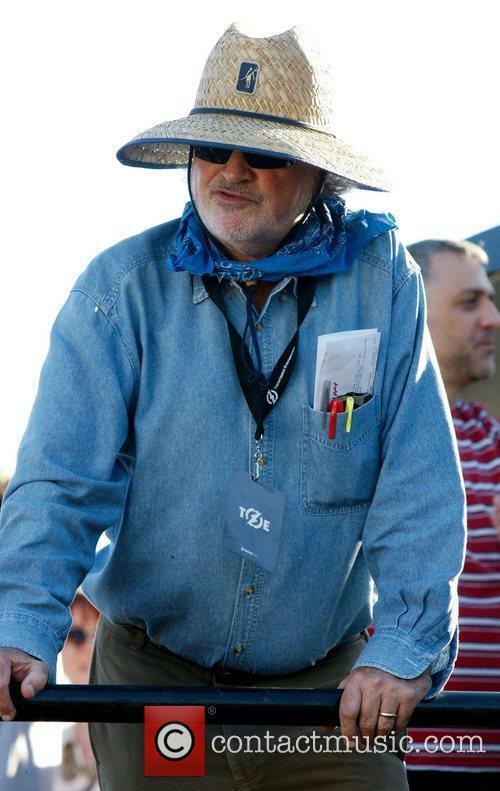 Get a good look at the above photo, readers, because it's not too often you see pictures of the multiple-Oscar nominated film director Terrence Malick doing his day job. Malick was with a few of the cast who are appearing in his as-yet untitled music, including Michael Fassbender, Savanna Welch, Rooney Mara and a spotlight-stealing Val Kilmer -it's not often you can say that - at the Fun Fun Fun Festival in Austin, Texas where he is shooting. Though the director tried to hide his face with a large hat and sunglasses combo, there was no such shyness from Kilmer who, according to the Indiewire, joined band the Black Lips on stage before wielding a chainshaw, cutting his 'hair' (it looked like a wig) and then being 'forcibly removed'. Nice one Val. You have to hand it to the paparazzi that actually recognised actress Rooney Mara whilst she filmed scenes for the upcoming flick 'A Bitter Pill' in New York. After her titular turn in The Girl With A Dragon Tattoo the 26-year-old actress again looks unrecognisable with her long blonde and brunette extensions in. She makes the transition from Goth to everyday girl for the film, however this transition should not last too long as she has the other two films of the Stieg Larsson penned trilogy to film in the near future. The New York premiere of 'The Girl With the Dragon Tattoo' was held at the Ziegfeld Theater recently and all eyes were on Rooney Mara, who plays the titular girl, Lisbeth Salander. She looked very striking; a far cry from her usual feminine image as seen in 2009's The Social Network. American actress Rooney Mara (The Social Network; A Nightmare On Elm Street) arriving for The Late Show With David Letterman in New York. Rooney smiles shyly as she leaves the car with her assistants but she doesn't stand for pictures; she instead goes straight into the building. The story of Facebook is given a dramatic twist by the combination of Sorkin's brainy script and Fincher's brawny direction. What emerges is the tale of a computer nerd who only understands relationships if they're online. While at Harvard in 2003, Mark Zuckerberg (Eisenberg) and his best pal Eduardo Saverin (Garfield) came up with the concept of linking the students in a virtual network that honed the concept of MySpace into something more personal. The problem is that it springs from a project Mark is working on for beefy twin rowers (Pence and Hammer) and their techie pal (Minghella), who immediately launch a legal battle against Facebook. Later, Mark links up with slick Napster founder Sean Parker (Timberlake) to push the site further, but he loses Eduardo in the process. The chronological narrative is broken up by scenes from the legal encounters relating to the two lawsuits filed against Zuckerberg, and this gives the film its sense of dramatic momentum. But these legal skirmishes are red herrings; this is actually a story about relationships that go horribly wrong, most notably the friendship between Mark and Eduardo. And from the first scene to the last, the central point is that Mark simply can't make any relationship work. While the irony of this is a little over-the-top, it's very nicely underplayed by the whole cast. Eisenberg is terrific in the film's most thankless role, but he never overeggs the performance, so Mark comes across sympathetically as a complex genius with a severe blind spot. He gained the world but lost his soul, as it were. Garfield gets a more emotional role and delivers an excellent turn that gives the film its heart. And Timberlake is also superb, never chomping on scenery in the flashiest role. Of course, Sorkin's boyish script is snappy and almost too sharp, packed with hilarious jokes and intelligent conversations. It's great to see another big Hollywood movie this year (after Inception) that actually stimulates our minds for a change. While it sometimes feels a bit dense, it's also a thoroughly gripping look at the fallout of relational dysfunction. And we can all identify with it, whether or not we're a computer nerd. Most people who use the internet are familiar with the name Mark Zuckerberg, for those who aren't, he founded and programmed a social networking website called Facebook. In an extremely short amount of time his bedroom project soon turned into one of the most profitable websites on the internet.